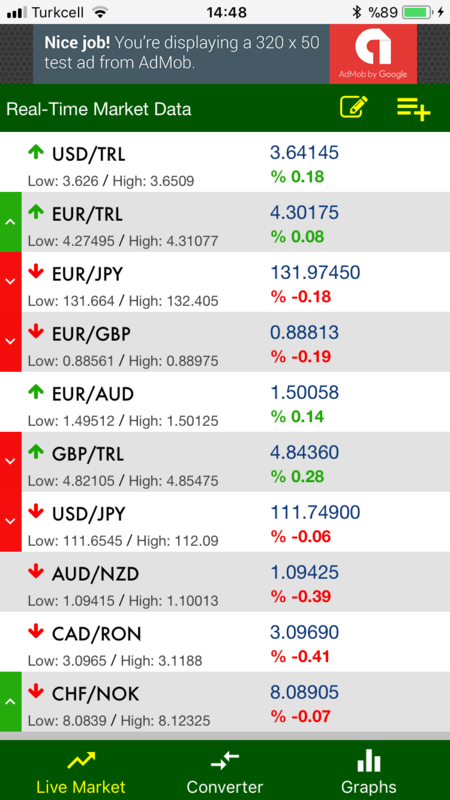 Real-Time Currency & Forex Data. Watch 100+ currency pairs, FX symbols and precious metals with real-time updates (every second) free. Bid-Ask, Daily Low & High and Spread values are also available. Create your own watch-list to follow pairs you are interested only. Draw graphs with customizable intervals. 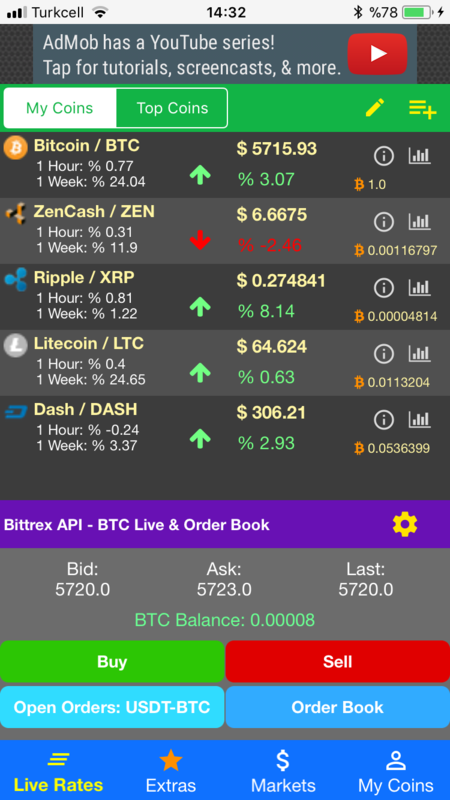 Follow 1000+ Crypto Currencies and Buy&Sell Directly Within the App. Follow more than 1000 crypto currency, create your own watch list, explore coin prices on different markets and add your currencies to your portfolio to follow portfolio value easily. You can easily check order books , list your open orders or buy&sell with one click within the app. 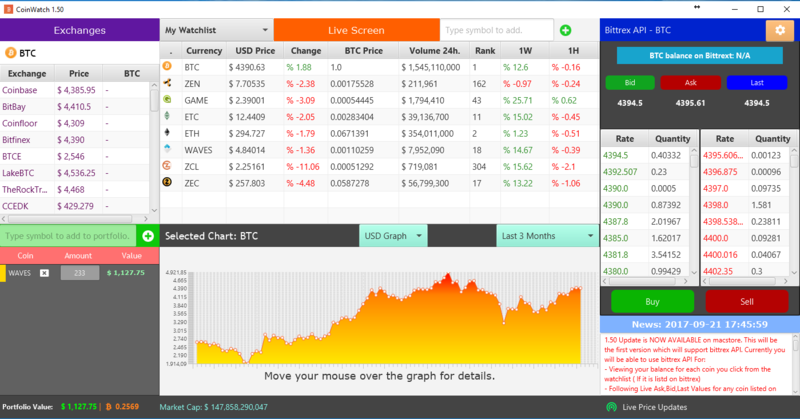 Real-Time Market Watch with Conversions in Real-Time. Convert from any currency to any currency with real-time rates and most accurate data. 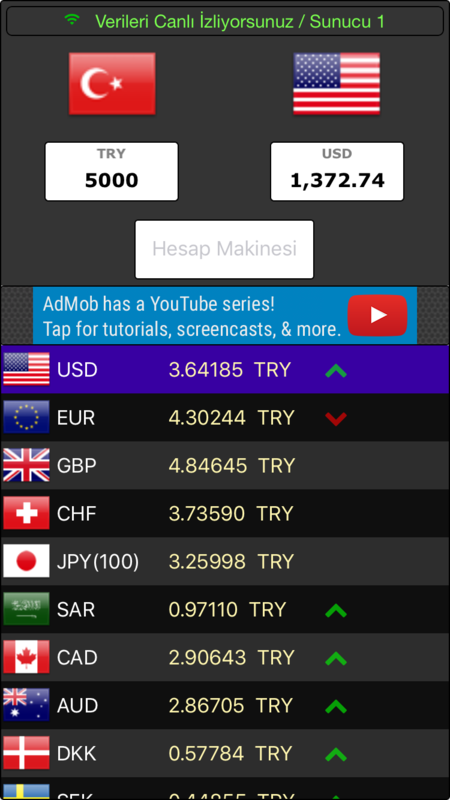 Real-Time Currency View and Conversion for Turkish Lira. 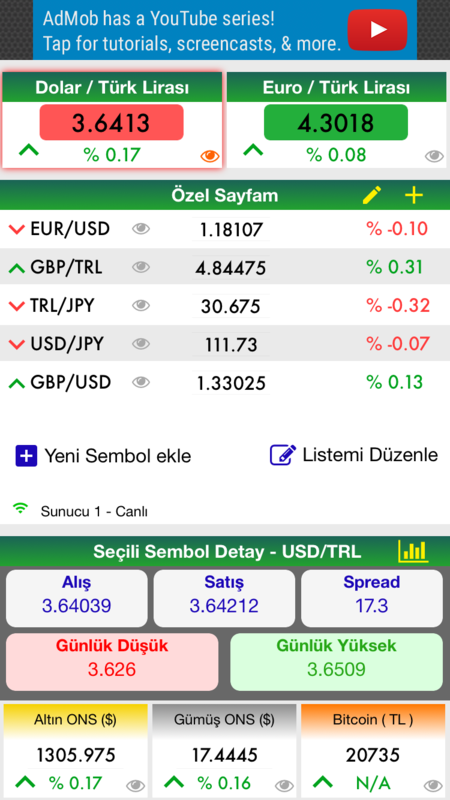 Follow Turkish Lira live with professional and accurate data. Easy conversion with real-time rates for TRY to any currency or any currency to TRY.